Bill Birck is President and CEO of Reed Construction. He joined the full-service construction firm in 2000, and is the fifth generation heading the family-owned company established in 1893. 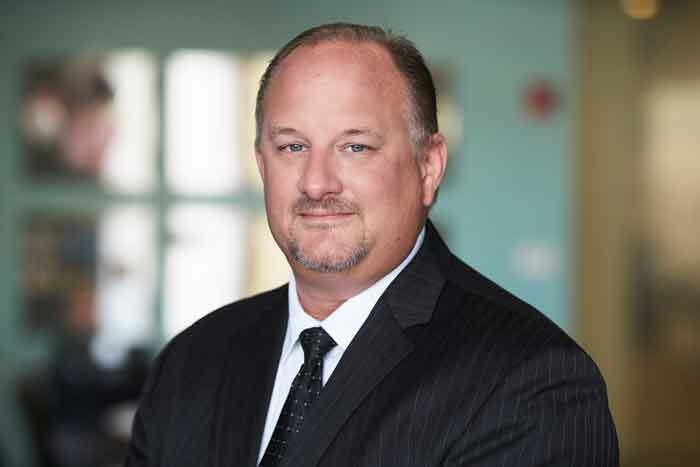 He is responsible for managing the company’s day-to-day operations, providing leadership for its growth and success, and for maintaining Reed’s renowned on-time and on-budget completion record. Bill believes that the success of a firm is directly related to the quality of its staff, and as such continually reinvests in the company to maintain a highly qualified and knowledgeable professional team. His expertise, integrity and commitment are among the many reasons for the firm’s success including employee retention and customer loyalty. For more than 100 years, Reed Construction has served owners, developers and facility managers of investment properties, educational institutions, healthcare facilities and corporations. Reed Construction has extensive experience in pre-construction, construction management, general contracting and design/build. Mr. Birck’s leadership is best exemplified by the firm’s steadfast dedication to quality workmanship, professional management and ethical conduct. Bill has nearly 20 years of experience in construction and has been involved in over eight million square feet of projects valued at more than $360 million. Prior to joining Reed Construction, he was a Private Wealth Manager for Morgan Stanley. Also an accomplished musician, Bill received his undergraduate degree in Fine Arts from Millikin University in Decatur, Illinois and his Masters in Music and Jazz Performance from the Manhattan School of Music in New York. He also maintains a Masters in Business Administration from Kellogg School of Management in Evanston, Illinois. Bill is very active within the business, real estate and construction industries. He has contributed as an expert to numerous articles in regional and national, trade and business publications. He is an active member of the Economic Club of Chicago, the Executives’ Club of Chicago, the Building Owners and Managers Association (BOMA) and has served on the board of the Young Presidents’ Organization (YPO) – Windy City Chapter for the past two years.